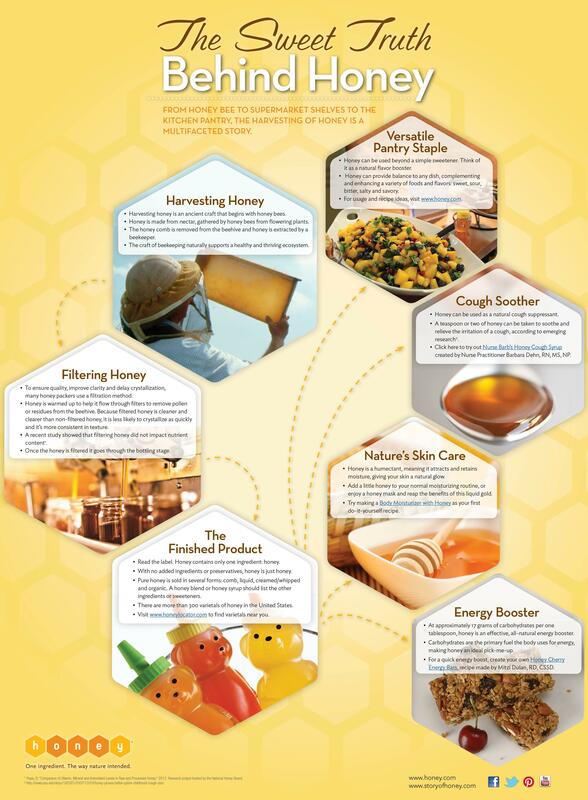 At the National Honey Board, we work with registered dietitians, nutritionists, research scientists and food scientists to provide accurate and relevant facts about honey and its benefits. These handouts are available for you to download and print to share with your patients and clients. As a single-ingredient, pure and natural sweetener, honey’s nutritional benefits go far beyond the simple fact that it tastes good… though that is true, too! Nutrition Information (Processed v Raw) For the full report, click here.